Public markets are often the best kind of tourist destination. There are usually few places in a city where you can get an authentic feel of what life is like for its residents but also find plenty to do and see at the same time. Is it any wonder there has been a rebirth of these sorts of markets across the country? They are the perfect places to feature locally grown produce, crafts made by artisans, and quality goods. Because of all the hustle and bustle, public markets should be on your list of hot spots to enjoy the next time you are in any of these cities. 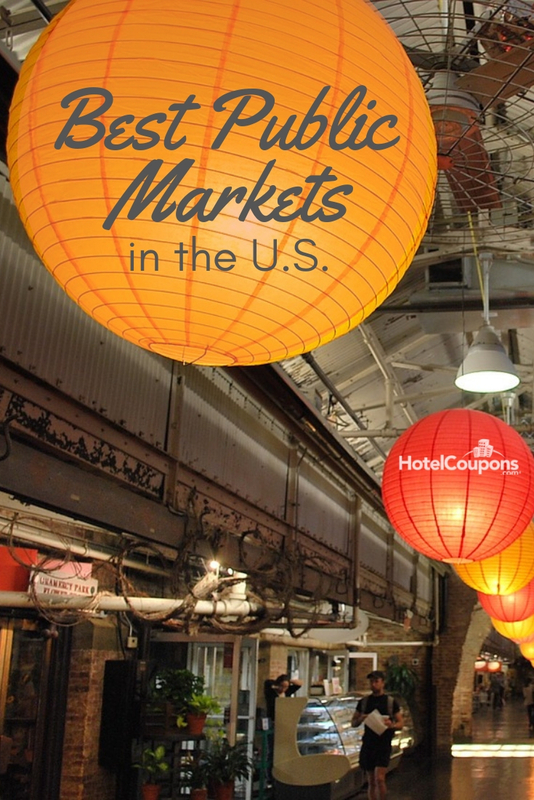 In this post, we’re going to highlight some of our favorite public markets. 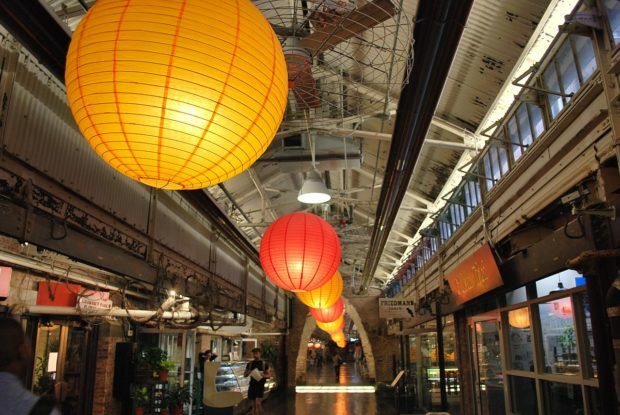 There’s no shortage of things to do during a trip to New York City, but you should add Chelsea Market to your list. This indoor market has over 13,000 square feet of space and features everything from food carts to coffee shops, bars, and high-end boutiques. It also gives you easy access to The Highline, an elevated greenway and park. Pike Place Market has been a top tourist attraction in Seattle for decades. It’s probably one of the best known public markets of it’s kind in the country. So if you’re in Seattle, you can’t miss it. The complex has tons of different food options, art vendors, antique dealers, and even flower shops. Perfect for a souvenir. In what was once a former iron foundry you’ll find the Source Market Hall and hotel. This unique structure is home to over two dozen independent vendors, two breweries, and a rooftop pool. Sounds hard to beat, right? The Source offers visitors everything from amazing beers and tacos to weekly events, and even an art gallery. Portland is known for its hot foodie scene. Thousands of people visit each year come each year to check out the various five start restaurants and food trucks. The Portland Farmer’s Market at Portland State University is another draw for visitors and the local hipsters alike. The Charleston City Market is housed in a series of buildings that were first constructed in the late 1700s. The market is Charleston’s most visited attraction, and it’s easy to see why. There is always something going on here, both day and night all year round for you to check out. Our Instagram is about to look really delicious! 😋 @thefrenchcow crepes shop will be taking over our feed tomorrow. Be sure to follow along as they feature their favorite sweet and savory fillings. If you love nothing more than wandering markets, make sure you set aside time to visit Detroit’s Eastern Market. At over 43 acres in size, it’s one of the biggest public markets in the country. It has many vendors selling all sorts of local food and wares. After reading this list, we bet you’re ready to run out and visit your local public market, right? Once you become a fan, be sure to keep an eye out for markets in the cities you visit next time you’re on vacation or traveling on business. You won’t regret it!